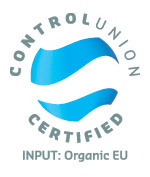 The Control Union Certifications organisation, which is part of the Control Union World Group, maintains worldwide supervision of input products that are used in organic farming. The Control Union Certifications organisation issues the CU Certificate for this purpose. An organic input product actually contains no chemical fertilisers or pesticides or chemical or synthetic artificial odours, colourings or preservatives. Products certified by the Control Union Certifications are also free from Genetically Modified Organisms (GMO's). This means it can be guaranteed that when these input products are used, that the output products can be called organic. CU Certification is subject to strict rules and use is only permitted after Control Union Certifications has given its permission. The rules for use are recorded in a special regulation. Control Union Certifications supervises its use and takes measures to combat improper use and misuse. BIOCANNA fertilisers have Control Union Certifications 801039 certification.